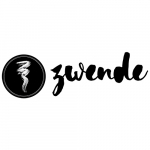 - Responsible for all Zwende sales activities in store and at pop-ups - greeting customers, answering questions, offering assistance, suggesting items, lending opinions and providing product information. - Demonstrate outstanding customer service and selling skills, maintain a professional attitude with sincerity and enthusiasm reflecting the brand's commitment to our customer. - Responsible for keeping the store/pop-up stocked with merchandise, assisting in display of merchandise or organizing the store/pop-up and storage areas. - Responsible for payments and collections (online payments and cash). Must also be able to deal with customer refunds courteously and professionally. - Develop product knowledge by reading available content and attending training sessions in order to communicate it to the customer. - Stay current with promotional events and sales on the website. - Ability to go the extra mile, to organize and manage the event single-handedly, or with minimal support.